Why is Lego's own archives incomplete? I had seen a video of the Lego archives on YouTube. I have to say for a multi billion dollar company the small basement with their archive is very unimpressive. You would think that a company this big would have a warehouse full of multiple copies of every set ever made. Nope a small basement that has 1 copy of each set. The lady in the video who takes care of the archive says it's not even 100 % complete. How can a company not have a complete collection of it's own products??????????????? Does anyone out there know why the Lego group does not even have a complete archive set of all it's products? It's called Ebay..... they sure in hell could afford to buy what they don't have. I think there is more than 1 vault, at different locations. Maybe when they shifted the sets around it got lost somewhere? For most of Lego's history, they didn't exactly keep all that stuff. A good deal of the items in their vault were acquired secondhand after the fact. 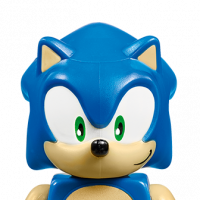 And for rare items (particularly regional exclusive items or variants), they might not be able to get ahold of sealed copies even on the secondary market. I don't know what sort of budget they have dedicated to the vault, but I don't think it'd be a lot—it's mostly for internal use, after all. I don't follow - why would LEGO be expected to invest substantial resources in retaining multiple copies of every single item they've ever manufactured? I don't know of any company that keeps one of every item it has manufactured, even if it would seem to be very important to the history of the company. For example, up until recently Roger Penske no longer owned the transporter that was used to carry the team's first ever Indianapolis 500 winning car. You'd think that was something the team would have wanted to keep around in a vault/museum, but sometimes it just isn't feasible. You would think that a company this big would have a warehouse full of multiple copies of every set ever made. Nope a small basement that has 1 copy of each set. You're assuming a heck of a lot, there. A video of one of their vaults doesn't mean that's all they have. Way-back-when, LEGO decided to start keeping 5 copies of each of its products for good measure-- mostly for legal reasons. That way, if anyone ever popped up and argued a patent, copyright, or otherwise, they could show a copy of their original set. However, in recent years, they've had an EXPLOSION of sets being produced. Having a vault with 5 copies of everything takes a lot of space. Plus, if your one vault ever has a problem (a fire, flood, or what-have-you), then you've lost your investment. So they decided to split their vault into three vaults (or so I've been told). Hence, they now keep 3 vaults, each with a single copy of each set. What happened to the extra 2 copies of old sets? No idea. Pretty much anything that you can buy online they've got a copy of. I would guess they're missing only a handful of things. The things they're missing are really strange things. Promo sets that were done for some one-off event back in the 1980s, or something that was only released by Minitalia in Italy, or a particular variant of printed flags that only Gary Istok knows about. Those are the things that they're missing. They're not missing (say) a UCS Millennium Falcon, and they're too cheap to buy one on eBay. So, now-and-again, those things DO come up for sale. But LEGO doesn't really scour the depths of the internet and collector's market for them. There's not really much reason to do so. If their collection isn't 100% complete, it doesn't hurt them financially, and the risk is fantastically small. Why should they pay someone to incessantly search for missing items, and pay (probably) hundreds or thousands for small additions to their 99.7% complete collection? It's just not worth it to them, no biggie. There are multiple vaults and the one the 'public' are allowed in covers retail sets only, and probably has the vast majority of them. When I first visited, in 2004, it was in a different location and did contain many promotional items, which I was able to photograph for Brickset. These must now be in one of the 'closed' ones. As said above, they are kepy not for historical or nostalgic reasons, but for legal reasons, in case, for example, they are sued over a particular product. 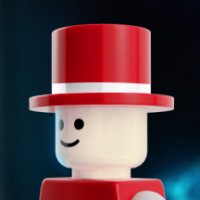 It would, after all, be foolish for LEGO to have all its eggs in one basket. Yes, one YouTube video shows the whole of Lego's archives. If it's on the internet it must be true. There are number of reasons Lego’s archive is incomplete. Lost, stolen and misplaced her chief amongst these reasons. The archive has moved a couple of times. During these moves it’s been acknowledged that certain rare sets have been stolen or misplaced. When you’re dealing with tens of thousands of items it may be slightly understandable as some could get misplaced. During the course of its history Lego has experienced couple of devastating fires. I don’t know to what extent the 1960 fire affected the plastic toy line, but it essentially was the final nail in the wooden toy line. Items could have been lost or experienced enough damage that they were removed from the archive. Another factor has to do with how Lego expanded into other countries. These were often done through licensing agreements. In many cases, most notably with Samsonite, these third parties were producing their own sets independent of Billund. 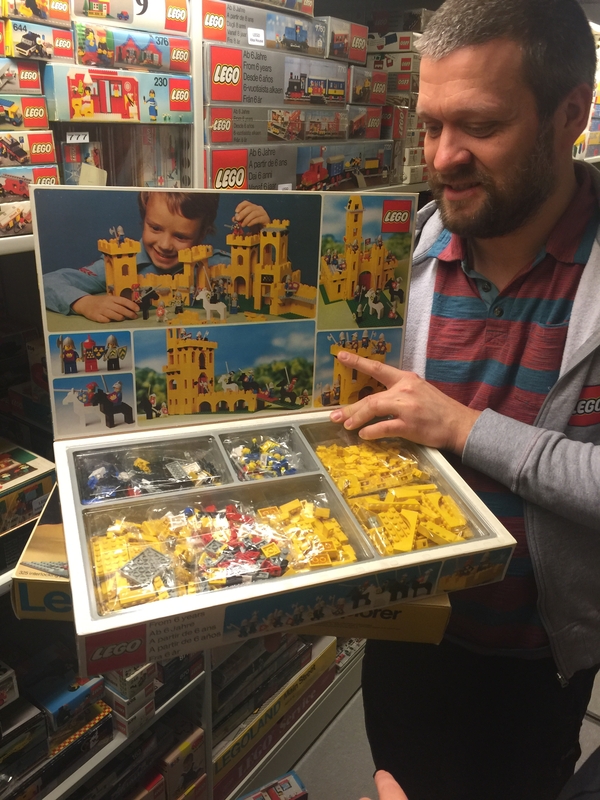 Lego often does not have these sets in their archive. As a private company Lego certainly has better things to do with its money than trying to compete with collectors on eBay. Allegedly I outbid an individual representing Lego for a rare set couple years ago and I'm not even one of the heavyweights when it comes to rare items. There are some real whales our there. Given the archive would need sealed examples of these sets, this would be an enormously difficult and expensive task. Have you ever looked for a truly rare set on eBay? I’m betting you never have. There are some that have rarely turned up and some that have never turned up. In many of these are not sealed, they’re just loose bricks in a box. Additionally there are still unknown sets that pop up from time to time. So not every possible set is even known. Another difficulty is in defining what makes us that unique. It’s a question I recently posed to some family members. Is it the set number? If so then is a 700/1 set produced in 1949 the same as a 700/1 produced in 1964? Is it the box artwork? So then does a 50s parts pack with different slipcovers constitute different sets? Is it the inventory? So does a 725 Town Plan sold by Sears sold 1962 different from a 725 Town Plan sold by Montgomery Wards in 1962 but with different inventories constitute a different set? Or parts packs sold in continental Europe versus the US, where the US version had substantially more pieces than its European counterpart? Many of these are questions that come up here on Brick set for its database, and many of these are not issues that are easily resolved. And one to get sealed in a plastic case and graded, right? When I got a tour of the LEGO Ideas House in April, we were told that their archive only contained a set if they had like 4 or 5 of that set. One to display, one to open and one... just in case! Why should they pay someone to incessantly search for missing items, and pay (probably) hundreds or thousands for small additions to their 99.7% complete collection? It's just not worth it to them, no biggie. Well, now at least I know why they keep ramping up the produced sets/year. The faster they go, the higher their completeness ratio is. Why? I think we've all seen it by now. Thanks for the heads up! I've been busy working on my new LEGO Encyclopedia, and not posting much lately. Let me break this down into 2 parts.... 1) paper Archives, 2) set Archives. 1) the LEGO paper Archives are rather sparse for the years 1949-70. TLG was a fast growing company, and they didn't dedicate a lot of time to keeping a history of their company and its' products during the early years. I've found out that this is rather common for new companies, who experience a lot of growing pains, and don't maintain a great paper trail for their early years. For TLG the early brick years (1949-56) are especially sparse paper trail wise. I have always wondered if this might have been somewhat deliberate... in case TLG was ever sued by Kiddicraft, for any patent violations. Ironically Kiddicraft never did patent their building brick system in Scandinavia or much of Europe. They did however patent it in the UK, France and Switzerland. I've always thought that one reason that TLG kept Automatic Binding Bricks archive info at a minimum, was their fear it might be subpeana'ed for litigation purposes... but that's just my opinion. 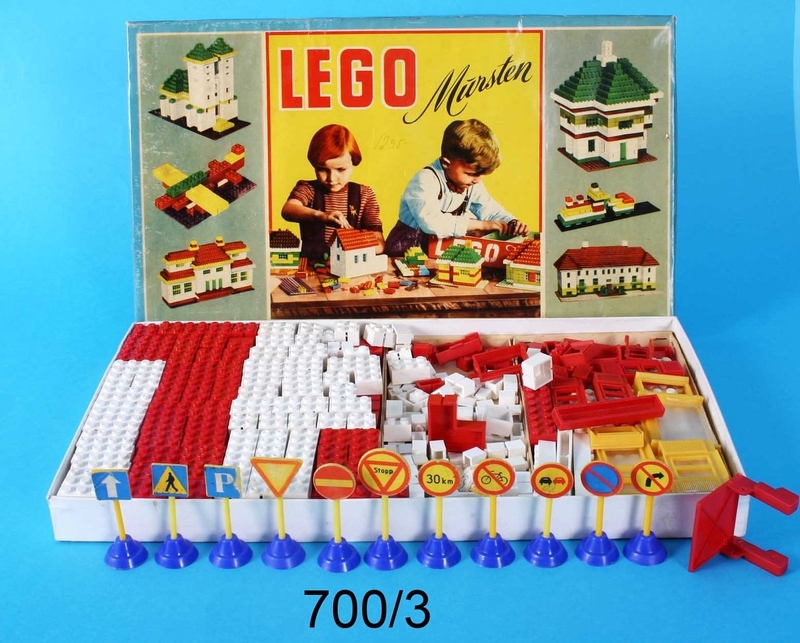 By the time TLG started selling the LEGO System of Play in Switzerland (where Kiddicraft was patented) in 1957, the LEGO bricks and the parts that make up the Town Plan System were different enough from anything that Kiddicraft did, that litigation was highly unlikely. 2) LEGO Sets.... the first LEGO sets were produced from 1949-53 under the Automatic Binding Bricks name... were first produced in Billund starting in 1949, and a plastic company named Geas Konstharts in Gislaved Sweden starting in 1950. Neither TLG nor Geas has any records of this licensing, but anyone who owns the boxes of each company can see the nearly identical nature of sets coming out of both locations (boxes and parts are virtually indistinguishable). Records of this collaboration may have been suppressed to keep Kiddicraft legal at bay. In 1953 LEGO expanded to Norway, which had a toy import ban until 1962. So they created a jointly owned subsidiary of Svein Strømberg & Co. (an Oslo Norway plastics maker) called A/S Norske LEGIO. For some odd reason the unique sets/records of this subsidiary were not well merged into the Billund HQ Archives, so there were many Norwegian LEGO sets that were unknown to Billund. To a lesser degree, a similar scenario happened (starting 1960) with British LEGO Ltd., the Courtauld's Corp. owned LEGO lisensee for Britain, Ireland and Australia, and also for Samsonite LEGO (starting in 1961) for USA and Canada. There were also separate licensing agreements with Finland starting in 1960, and Japan in 1962. 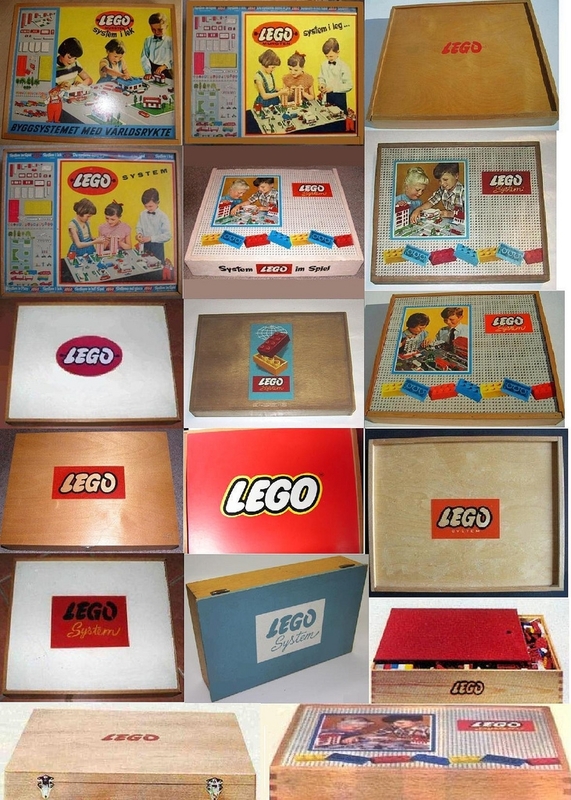 So a lot of early LEGO sets, and even parts, fell under the TLG Billund Archives radar until the early 1970s when TLG kept better track of LEGO items in the Archives. The version on the left was sold by TLG in Denmark, Norway, Finland, Belgium, Switzerland, Italy, France, Portugal and Japan. The version on the right was sold by British LEGO Ltd. in UK, Ireland and Australia. The Billund Vault has at least 1 example of the UK version, but no examples of the continental Europe/Japan version. This is probably an example of a set that TLG bought on the secondary market, since the UK version is about 10 times as common as the continental European version, which is quite rare. From 1957 until the mid 1970s TLG produced a lot of different wooden box sets, mainly in continental Europe, Britain and Australia. 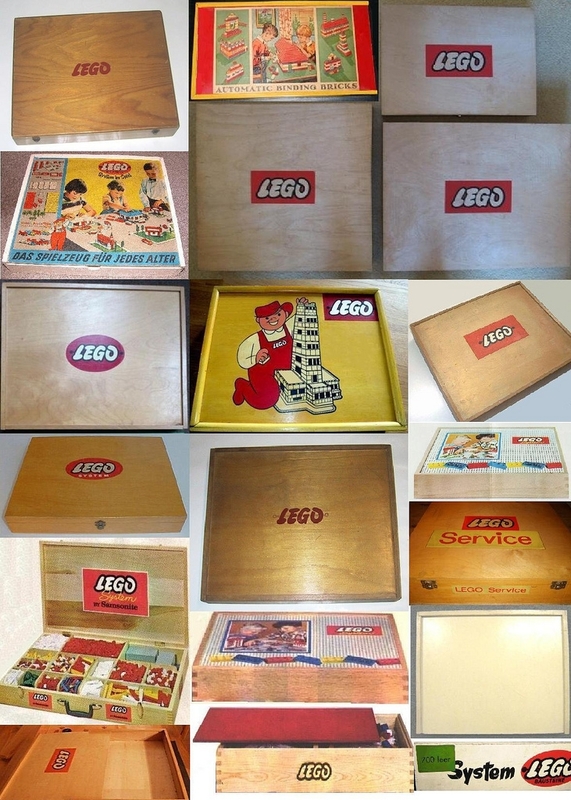 In fact most of these boxes appear to be locally produced in the country that they were sold in, and the contents (as well as the LEGO boxtop paper or LEGO logo) were provided by TLG or British LEGO Ltd.
Of the over 70 different wooden box sets produced during the 1957-75 era... the TLG Archive only has fewer than a dozen different ones in their collections. Box imges from my online Unofficial LEGO Sets/Parts Collectors Guide. This is a TLG Archive image... and they sent it to me asking what was original to this set. I told them the road signs are not LEGO signs, and that the flip-up red LEGO garage door doesn't belong to this set, neither do the red LEGO classic windows/doors. One reason that TLG was interested in this set was because it had the very rare group of (1954-56) tall classic LEGO windows/doors in yellow. The yellow windows/doors were only sold in Norway and Sweden LEGO Mursten sets (parts that originated from the Norway subsidiary were also shipped to Sweden). 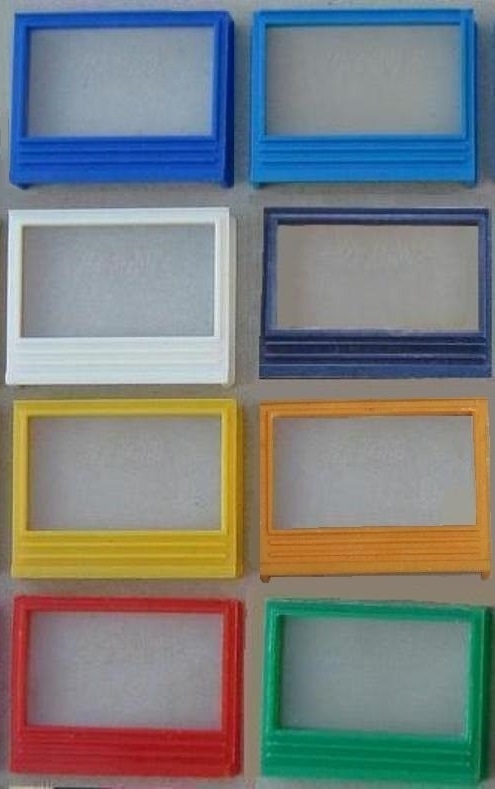 And speaking of old tall classic LEGO windows.... the TLG Archives were unaware of these early windows/doors in green, orange or yellow until recently when they were shown examples of them in those colors (all produced in Norway for Norway and Sweden). TLG Denmark only produced them in red, white and several shades of blue. FYI the green, yellow and orange tall classic windows/doors of 1954-56 can command up to 100 Euros each when in great condition. Image from my Unofficial LEGO Sets/Parts Collectors Guide. Are these photos still online @Huw ? 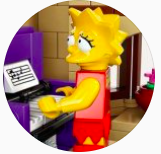 I'd assume that the photographs are on the relevant set pages on Brickset. Another bit of information about the "public" vault... This is the vault that current set designers are allowed to visit (upon request) for inspiration. That's one reason why you can actually handle the sets if you are lucky enough to get in. It is funny as I think you can tell a lot about a culture in those two 810 boxes. It looks like they saw the UK as a bit 'stuffy' (right photo). The children in the box on the left look dressed up, but a bit more 'relaxed'. As for that photo above, as amazing as the Yellow castle is, and even the Galaxy Explorer was in box, I am drooling over the train stack in the background. A lot of people have already weighed in with excellent responses, but I wanted to share some insight since I work in special libraries/archives (albeit a non-profit automotive library, not a corporate archive). For starters, I do not believe the basement archive is the complete archive. They also have ephemera (paper materials). Number 2: There are plenty of well established companies with corporate archives that do not have complete collections of their material. The issue is with recordkeeping practices and the perspective(s) of the people who decided what was to be retained and what was to be destroyed. Back in the early 1900s-1920s, many a car company failed to foresee the intrinsic value of the documents they were producing for cars. Some things were definitely important to keep in the short term, since cars would be on the road for multiple years. That someone might be interested and restoring a car 100 years from then probably didn't cross their mind. A lot of valuable records have been destroyed, simply because the people in charge of the records felt they had served their purpose. Seeing as how LEGO has been around since 1932, it is safe to say they recognized the significance of documenting their history. But back when they were starting out, they had to make important financial decisions. Records/products do take up space, so you need to prioritize what to keep and what to discard. When a company is starting out, they aren't going to necessarily see the historical importance of keeping something. You also have to consider the multiple fires up through 1960; These inevitably destroyed records. Records are also more prone to destruction when companies go out of business or change hands (mergers, leadership changes, etc). That the collection is not complete is not surprising. I seriously doubt many corporate archives maintain a collection that is truly 100% complete. Number 3: LEGO may be a multibillion dollar company, but they are also in the business to make money. The corporate archive is important to them, but they can't just throw endless Kroner at it. It is a common mistake to assume places like this should have endless space to store a ton of stuff. Planning buildings and utilizing space represents a cost, and I can tell you that space can fill up pretty fast - ESPECIALLY for a company like TLG, which is releasing hundreds of sets each year. May I say this has been a fascinating read. Thank you! Don't forget that TLG could call @Huw if they ever needed a polybag or two!